One of the most important elements of art, one that can be said to be the key factor for creating legendary names throughout history, is the freedom to express one’s ideas. Although obviously following certain norms, techniques, and styles, it’s the individual way of thinking and seeing art as a unique pattern that makes one artist stand out next to the other. Not afraid to follow his own path, Arturo Di Modica is an Italian-born artist who has already built a great name amongst the legends of artistic present and past. 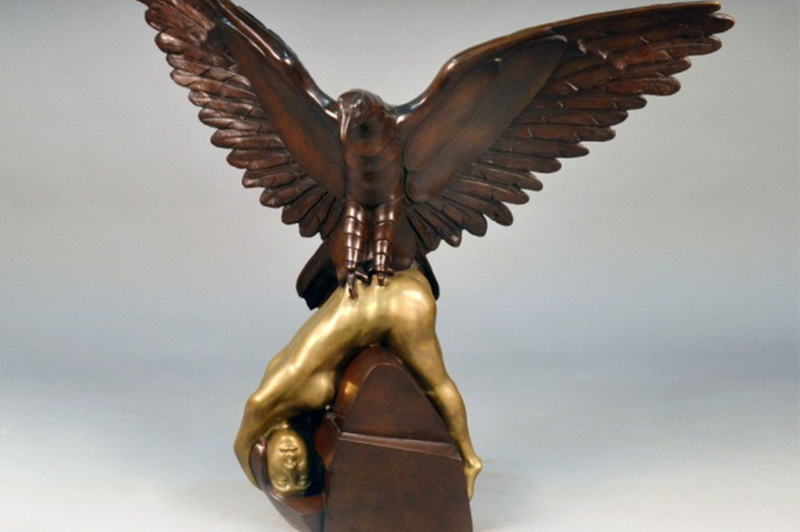 Proud of his Italian heritage, he has received great acclaim for his sculptural work during the long career, and with his yet fiery passion for sculpting, his oeuvre seems to be far from finished. 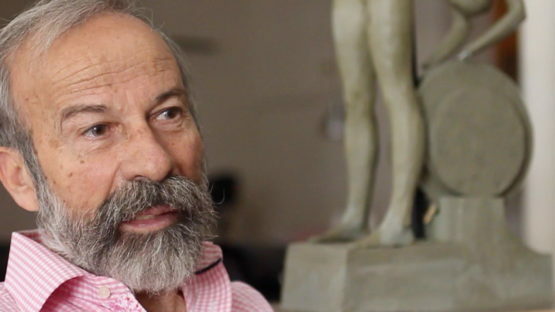 Arturo Di Modica is hailed as one of the greatest sculptors in the modern era, and most definitely one of the greatest ones alive; but even the road of a thousand miles has its first step, and Di Modica’s path of wide recognition started out as humble. Born on January 26th, 1941, the Sicilian boy was quickly drawn by the artistic practice as a way of expression, and he knew even then that sculpture is his one true calling. As young as 19, Di Modica left the island to pursue his desire to create sculptures, finding home in the city of Florence which was filled with great artistic minds, providing a nourishing surrounding for the young sculptor. Forming a practice around bronze in Florence, while utilizing marble from the city of Carrara known for the quality of it, his devotion and attention to details came into the spotlight of the artistic scene in Italy as the path of success quickly unveiled before him. Creating many masterful pieces during his 12 years in Florence and Carrara, Arturo Di Modica made yet another step towards finding the truth through art, and led by his independent artistic spirit he had moved to the United States in 1973. Settling in New York which will serve as his resident town up to this day, he had opened his first American studio in SoHo neighborhood. Maintaining the quality and an astonishing attention to details in his pieces, Di Modica’s abstract sculptures and animal portrayals brought him even greater recognition. His work was widely exhibited and collected even then, and yet, the ones that he considers to be his greatest achievements are the ones built for the public eye; four, in particular, made up of the marble sculptures he exhibited at the Rockefeller Center in 1977, the works in bronze shown the same year at Castle Clinton, as well as the bronze horse Cavallo exhibited in Lincoln Center. During his life in New York he has made some monumental pieces, and while he is very proud of his Italian heritage, he claims a great love and respect for the life in the United States, as well as its people. His free spirit merged with his delicate sculptural practice on one more occasion, producing a piece by which he is widely known. 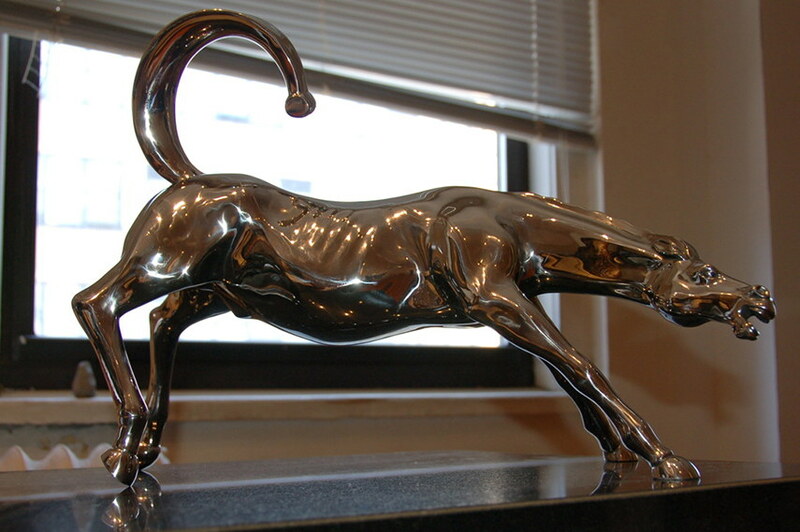 The Charging Bull, a three and a half ton bronze statue of a bull in motion represents all of the trademarks of Di Modica’s artistic expression: meticulously capturing a moving animal with a remarkable attention to details, displaying a tremendous skill of working with bronze. The sculpture was initially placed in front of the New York Stock Exchange, and if you’re thinking that you might need a permit to place a figure of this size and weight in such a busy place, you’re absolutely right. Installing it as a Christmas gift to the people of New York in December of 1989, Di Modica had placed his sculpture without a permit and it was thus removed. With the help of the citizens that admired the sculpture while it was on display, the piece was repositioned and it stands to this day in Bowling Green Park in the Financial District in Manhattan. 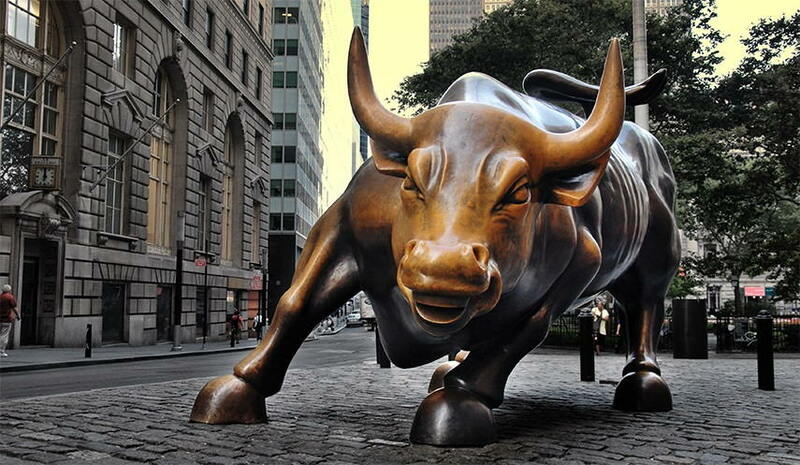 One of the most famous sculptures worldwide, it has become a symbol of Wall Street and the Financial District, as well as financial prosperity and optimism. Through dedication, passion, discipline, and an inborn desire to create art, Arturo Di Modica’s rich portfolio has made him a living legend in the world of art. 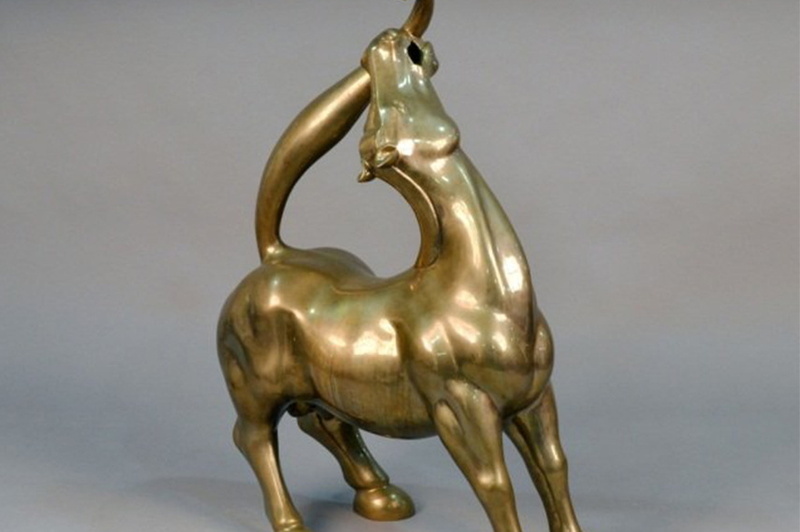 Presenting more than just the aesthetic form, his detailed sculptures are considered to bring good fortune and luck, invoking prosperity and success to those that surround them. With his artistic career spanning over five decades, Di Modica makes a full circle and goes back to Sicily to work and be with his family. His artistic flame is far from being quenched, and he currently works on his next big project that aims to be the pinnacle of his career: a stunning sculpture over 46 feet wide and 28 feet high made out of bronze and steel, the Wild Horses will weigh about 14 tons. The artist is represented by Puccio Fine Art. Arturo Di Modica lives and works between New York and Sicily. Featured image: Arturo Di Modica. Photo credits newyork-tales.ilsole24ore.com.